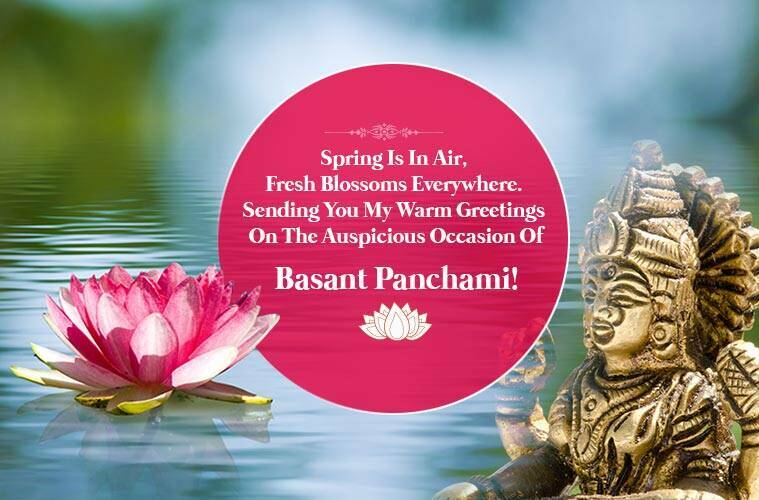 Happy Basant (Vasant) Panchami 2019 Wishes Images, Quotes, Status, SMS, Messages for Whatsapp and Facebook: Marking the onset of spring, Basant Panchami is also celebrated as Saraswati Puja according to the Hindu calendar. This day the festival falls on February 10. In Punjab, people celebrate the Basant Festival of Kites; in Bihar, it marks the birthday of the Deo, sun-god and is celebrated as a harvest festival; and is observed as Sufi Basant in Sufi shrines. 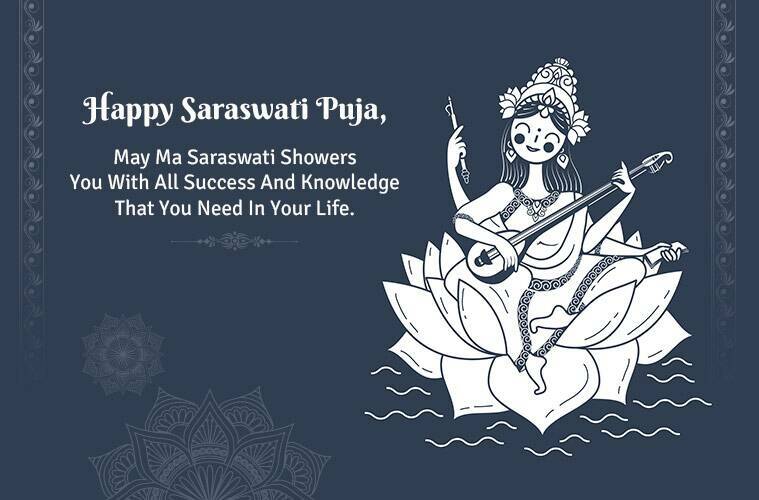 To help you wish your family and friends this Saraswati Puja, we have some greetings and messages that will make them feel special. * Goddess Saraswati, sitting on a lotus, symbolises her wisdom. She is also well-versed in the experience of truth. When the goddess is seen sitting on a peacock, it is a reminder that a strong ego can be held back by wisdom. 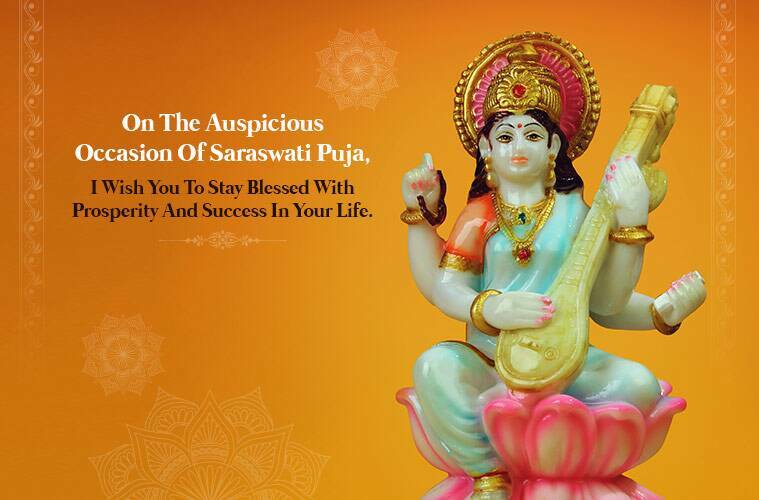 * May the Goddess bless you on this festival of Basant Panchami! * The harsh winter ends, spring is God-sent; A song on every lip; reminding one of yore; nature at its very best, charting a new course; The flowers bloom, let’s romance to the core! * With the chill in the weather receding, may your sorrows also vanish like the cold weather. * Saraswati Maa aapko har wo vidya de jo aapke pas nahi hai aur jo hai us par chamak de jise apki duniya chamak uthe. HAPPY BASANT PANCHAMI! 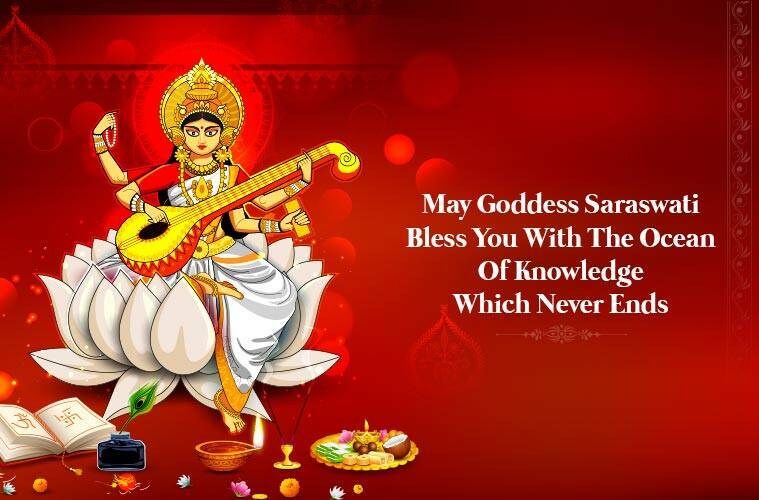 * On this auspicious day of Saraswati Puja, may you wear yellow and bloom like mustard fields; Fly kites and soar into the sky like them; Welcome the spring season and shed lethargy; And burn all the evils like Holika’s pyre.